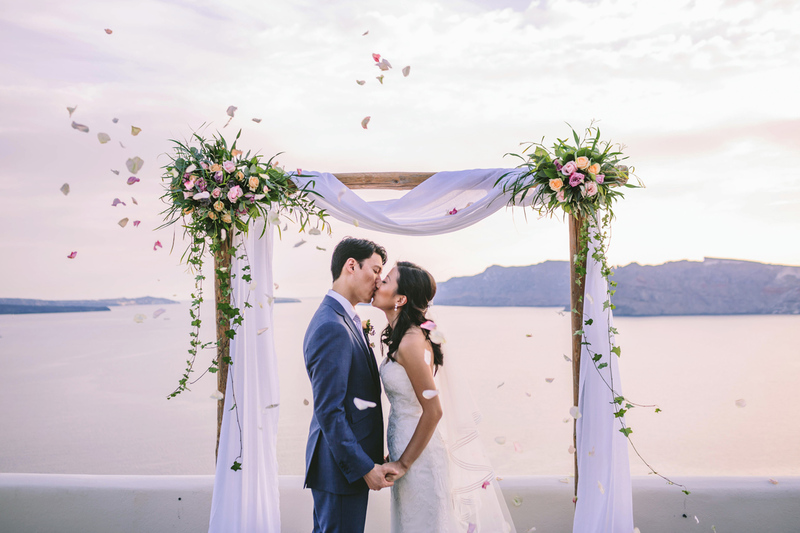 Perched high above the Aegean Sea, with views of the ancient caldera, Canaves Oia Luxury Resorts & Villas in Santorini provides the dream location for your fairy-tale wedding. Make your “I do” even more special than you ever imagined at one of Europe’s leading hotels. Tailor your ceremony to be as unique as your love. 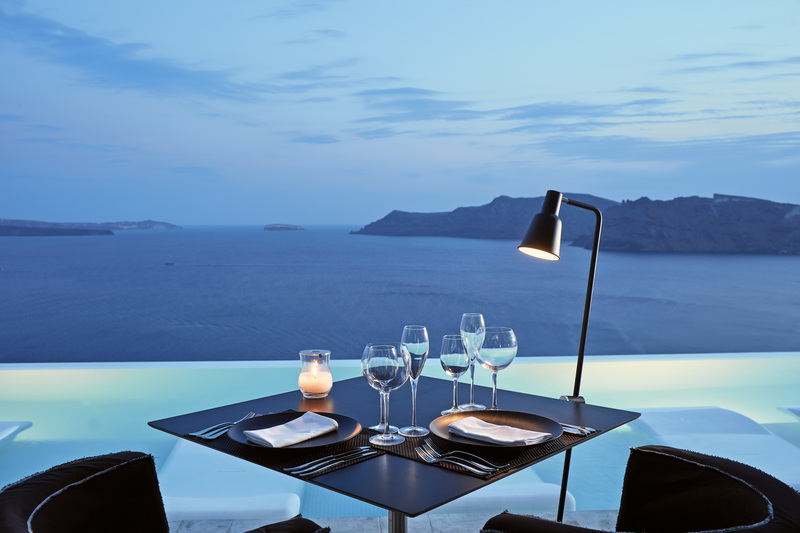 Whether you wish to be wed on a panoramic balcony overlooking the magical caldera views, by a blissful infinity pool or, on your own private catamaran, this heavenly retreat has it all for friends and family. 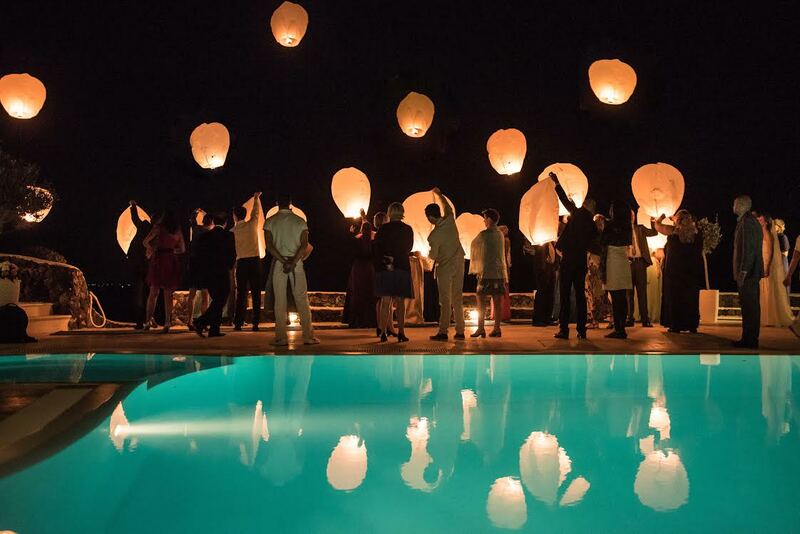 Traditional Greek dancers, classical harpists, fireworks and sky lanterns are at your beck – and – call with ultimate luxury being the main focus here. Indulge in world-class facilities throughout your stay. The Canaves Spa is available for manicures, pedicures, makeup, hair and massages for the bridal part, and the Petra Restaurant in Canaves Oia Suites is on-hand to match mouth-watering menus to your tastes, including healthy Greek/Med-inspired dishes for a pre-wedding detox. A dedicated team of wedding planners is at your service to ensure your day is everything you could hope for and more, from the initial planning to every last detail of the ceremony itself. And the festivities don’t have to end as soon as your reception does. 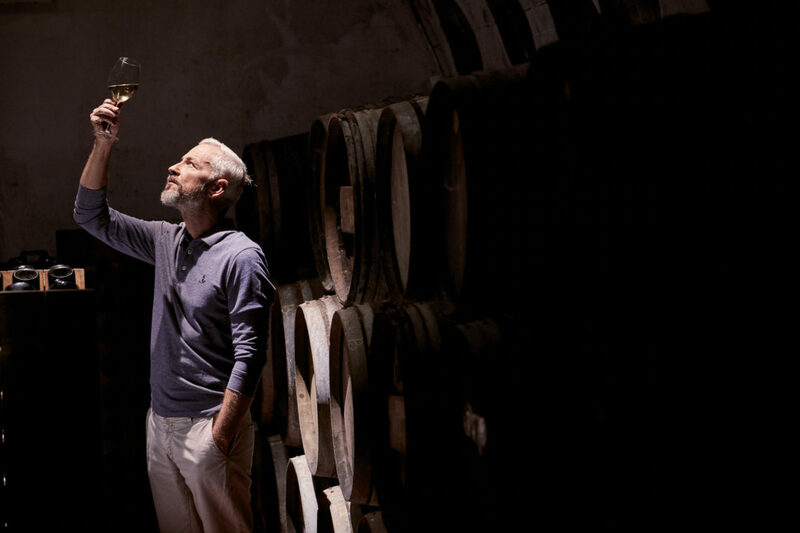 Family meals, sailing cruises, wine tasting, scuba diving and helicopter tours are just some of the finishing touches you can add to your Canaves Oia wedding so that it exceeds all expectations. The resort is not only idyllic for weddings, but it’s also a hotspot for honeymoons. 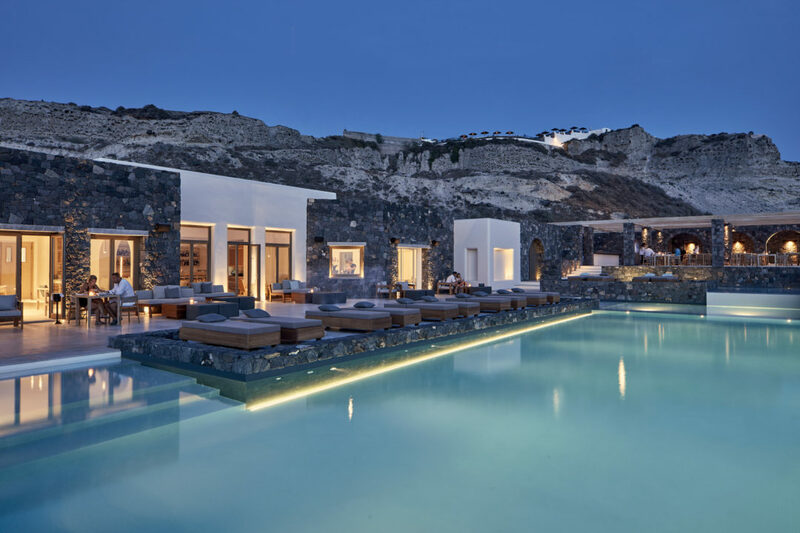 A-listers and celebs couldn’t agree more with Peter Andre choosing the Greek hideaway to spend his honeymoon moments with his wife, Emily. If you’re planning your special day to be an occasion you and your guests will never forget, look no further than Canaves Oia Santorini.